As someone who grew her blog organically through Twitter in 2012, the platform has always been my favorite. I used the platform to not only promote my blog but also network with other bloggers and build relationships with companies. After using the platform for the past 6 years, I’ve been able to test practices that not only work for me on the platform but also for my clients. Here’s how you can use it to your advantage, too! I’ve also found that at ANY conference I’ve attended, Twitter has always been the platform of choice for communicating. Each conference creates a hashtag for people to use and follow along with the conversation, but Twitter tends to get people to talk this most versus Facebook and Instagram. This is because posting multiple times in a row on Facebook and Instagram is annoying to your audience, but this is EXPECTED of Twitter -- the platform is meant for quick, frequent news. When I attended Hubspot’s INBOUND conference this past September, I was on Twitter all day, every day for the duration of it and grew my followers by at least 100 followers. I’m ALWAYS sharing articles I find that I think my audience would benefit from. Not only would my followers like to learn about the topics that I share, but people also appreciate when I share their content. This is because when you share someone else’s article, that article is seen in front of an entirely new audience. And chances are if you keep sharing someone’s articles, they may end up sharing one of yours. (This has happened to me!) Plus, if you’re sharing content that you KNOW will benefit your audience, it will end up performing well. Did you know that you can get press opportunities through Twitter by searching for #prrequest or #journorequest? There are SO many publicists and journalists in there searching for people who fit the requirements for an opportunity they have. If I have extra time, I’ll spend a few minutes searching through those hashtags to see if anything is relevant to me. If you find something that you may be able to contribute to, it’s super easy to do because all you have to do is reply to the person and let them know you’re interested! Then the conversation starts from there. The most important thing I tell my clients is that Twitter will not necessarily benefit you in getting new clients, but it WILL help you to establish awareness and credibility. I rarely promote my SERVICES on the platform, but I do promote any articles that I’ve written, videos I’ve created, etc. -- which all leads to forming myself as the go-to expert for social media. 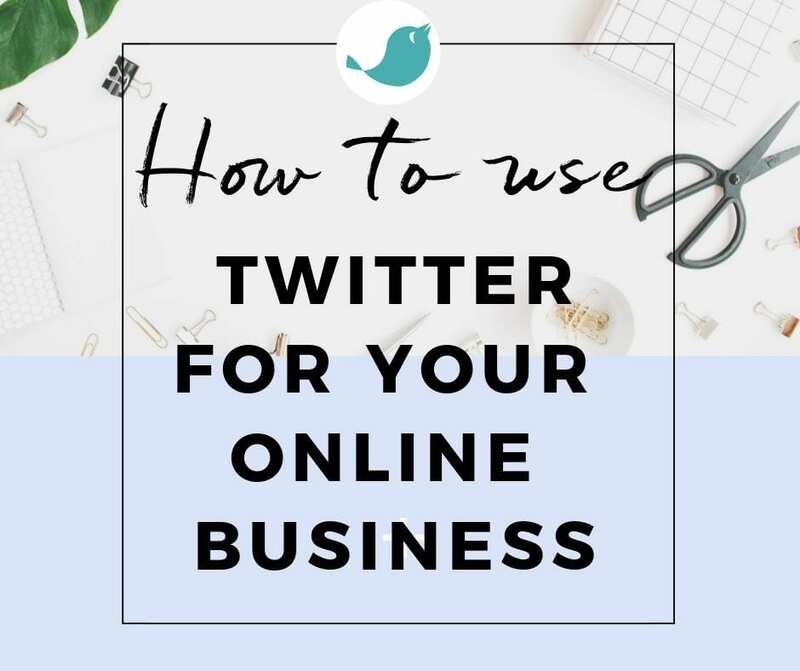 How are you using Twitter in your business? Ashley is a social media consultant for female entrepreneurs. Through her consulting and management programs, Ashley helps her clients to create and execute social media strategies amplify their online presence, and grow an engaged and loyal following.